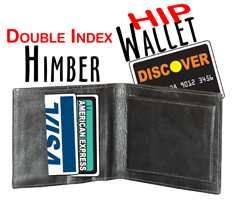 Here is a hip wallet that can accomplish the same effects!!! Also, with in this wallet are 16 index pockets!! Can be used in your every day transaction.